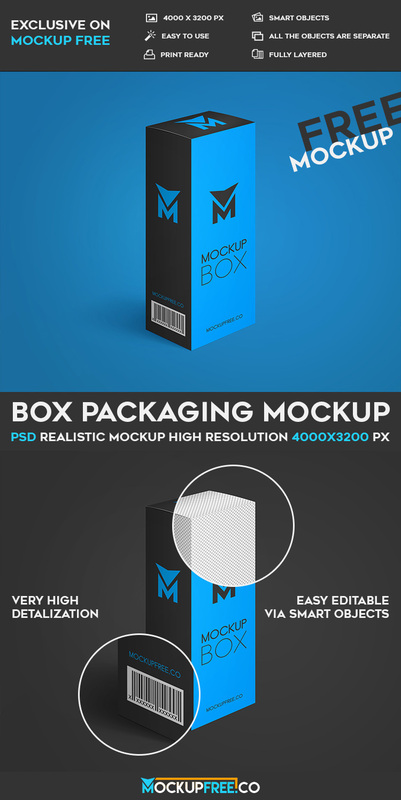 We would like to offer you our new awesome product – Box Packaging – Free PSD Mockup! It is absolutely exclusive PSD Mockup for creating advertisement you wish and work with professional products. Thank you!